Rod Cahill, the retiring CEO of Catalyst Housing Ltd, has enjoyed a lavish invite-only retirement party at the exclusive OXO2 venue in the iconic Oxo Tower in central London, at the expense of at least £11,000 plus VAT to the housing association (based on minimum number of 100 attendees). The "stunning south bank venue" provided award winning food and unlimited booze for the VIP guests, who included Executives and Directors but no other employees of the association. The November 13th event was held in the same week that some staff were informed that their jobs would be made redundant due to "Value for Money" improvements, which begs the question of how exactly Catalyst Housing calculate the value of their spending. This autumn numerous restructures have been conducted across Catalyst with posts deleted in many departments. Some impacted staff are still working out their notice periods with the organisation. Staff members are asking how the spend came to be signed off given that the December Winter Conference has already been earmarked as a chance to give Mr Cahill a send-off with all staff in attendance. The November OXO2 event, on the other hand, excluded over 95% of staff. Staff earning £100,000+ would have been enjoying an evening of free food and drink on the expense of the housing association. One staff member said "it's an absolute disgrace that directors who all earn a hell of a lot more than me are out on the lash on the company dime the same week friends of mine with mortgages and kids are being told they might not have a job here. I'm appalled." 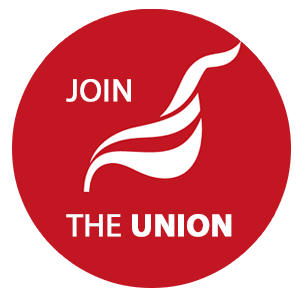 The news comes at Unite prepare to launch a pay campaign to reverse the tradition of below inflation pay rises which has become the norm under Mr Cahill's leadership of the organisation. Meanwhile, as we recently reporte,d senior executives pay at Catalyst has increased dramatically ahead of inflation. Cahill recently caused surprise at a meeting of the London Assembley when he was question about union rights at Catalyst and replied that they had derecognised unions in order to iomprove communication with the workforce. Assembley members informed him that this response would not be acceptable from a private sector employer let alone one benefiting from public funding and land.